There are a few family members that are not fond of meat dishes. Whenever asked to bring a dish to family functions, I try to pick a dish that will fit the bill for both meat and meatless foodies. 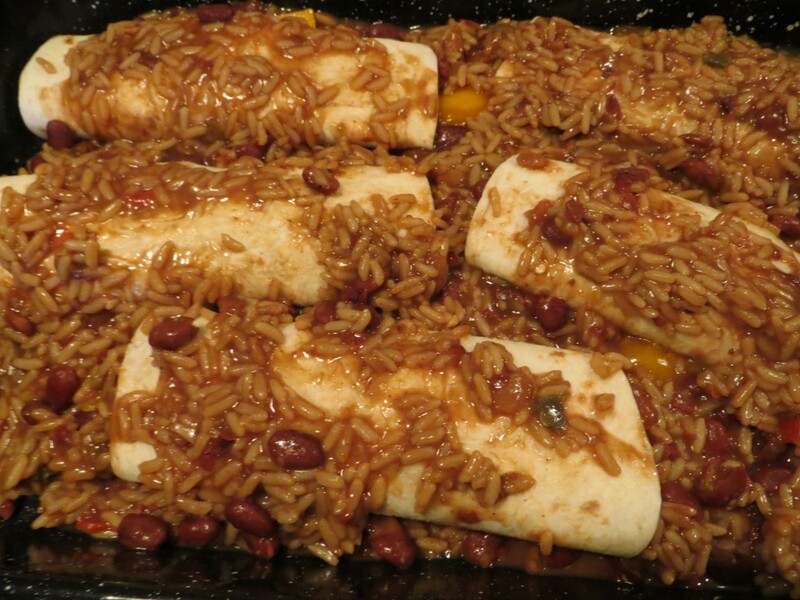 These bean and rice enchiladas are always a hit. Best served hot out of the oven, but can be reheated in the microwave in short increments until heated through. Prepare Zatarain’s red beans and rice according to package directions. Set aside. Spread a thin layer of the red beans and rice in the bottom of an 9 x 12 baking dish. 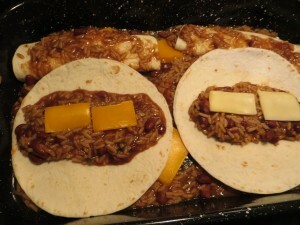 Fill each flour tortilla with approximately 1/2 cup of red beans and rice and 1 tablespoon of chunky salsa. Sprinkle with cheese and roll into tortilla shape. Once all enchiladas are rolled, sprinkle the tops with cheese, diced onion, tomatoes and drizzle with enchilada. Bake in a 350 degree oven for 27 minutes. Remove from oven and allow to cool. With a spatula, cut each enchilada in half. You will have 24 servings which pair well with a taco or two. OK. Let’s talk calories. 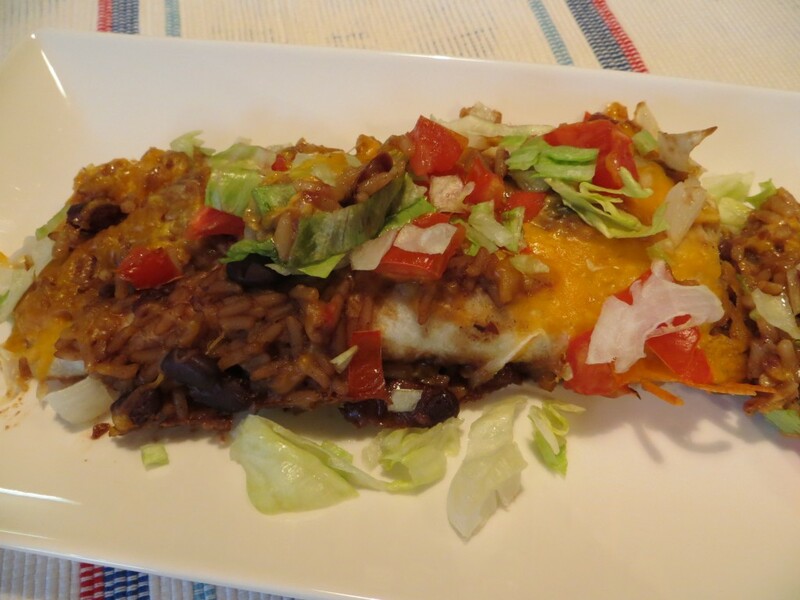 Each 1/2 section of the enchilada is in the neighborhood of 190 calories fully loaded. 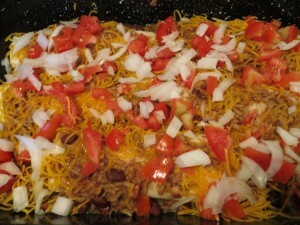 You can dump plenty of calories by foregoing the melted cheese and using low fat sour cream instead (about 52 calories).